So my case seems to be quite complicated. I'm from Russia, currently living in Russia, studying at University there with a programme that allows me to attend only exams sessions and to study from home most of the time. I have an Italian boyfriend who lives and has a permanent job in London, UK. We've been together for 2.5 years. In December 2016 I got a 6 months UK tourist visa, with a purpose of attending a 2 weeks English course. After I attended the course, I came back to Russia, but then went back to the UK quite a few times more, usually staying for about 2 weeks. When I applied for that first visa, the agency that helped me with the documents told me that it's better to state that I don't have any friends and family members living there. After the visa expired I applied for a new tourist visa, and my application was refused. In the explanation letter they wrote that they don't find it credible that I don't have any friends/family members in the UK and that I do really study in Russia whilst travelling abroad so often. 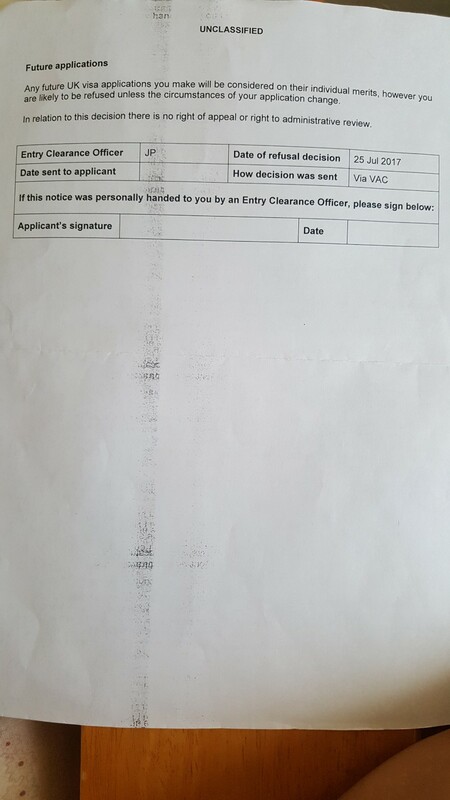 After that I tried to consult with a few other agencies based in the UK to help me to get the visa, and they all proposed to attach an invitation and a sponsorship letter from my boyfriend this time, saying that it would help me even to get a multiple entry visitor visa for 2 years. But in one of the agencies they asked me for more details and it was the first time that I mentioned stating that I don't have any friends or family members in the UK, on which they replied that the fact that I gave false information in my applications before can cause big problems such as being banned from the UK for 10 years. Could somebody please advise me possible options in this situation? I want to visit my boyfriend on the regular basis, but it seems like I can't mention him now in my new application, and I also can't apply for a new visa without any changes in the circumstances that I state in my application. First, let me tell you that is was incredibly stupid to lie in the application. Saying so is too late for you now, but perhaps other readers of this site will take notice. Next, consider what you are trying to do in the long run. It seems to me that you are trying to live in the UK fairly regularly, and not just visit. That requires a different visa, with different rules and conditions. Trying to apply for the wrong type of visa is going to be a problem because the rules for a visitor visa are made to prevent this. For living abroad permanently, ask on Expatriates stack exchange. As long as the UK is in the EU, your boyfriend benefits from the EU regulations which allow him to bring family members. You might qualify as a family member if you are not married but in a permanent relationship. Again, ask Expatriates. The UK is leaving the EU and we don't know what the rules will be afterwards, especially with regard for people who came between the declaration of Brexit and the time it goes into effect. Not the answer you're looking for? Browse other questions tagged visa-refusals russian-citizens deception or ask your own question. 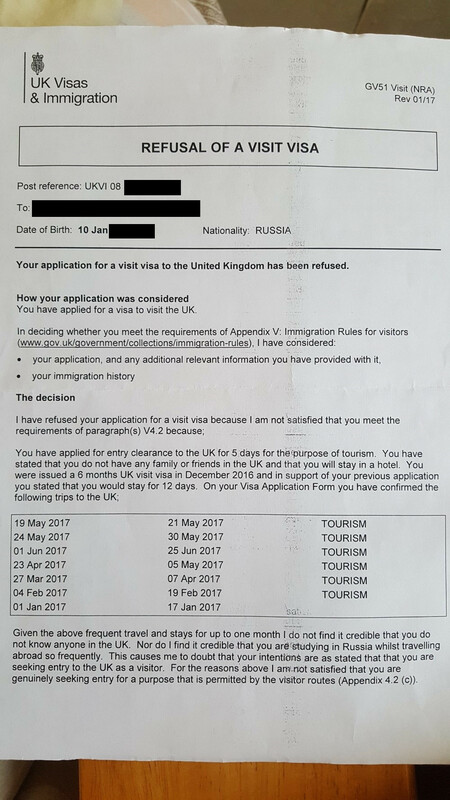 Are UK visit visa approved if it’s refused once in the past?